BY MARIA GUZZO | Tuesday, Oct. 18, 2016, 11:40 p.m.
Dennis Yablonsky, CEO of the Allegheny Conference on Community Development, said he got to do the “fun part” of his job Tuesday: promote economic gains of the 10-county region that includes the Alle-Kiski Valley. 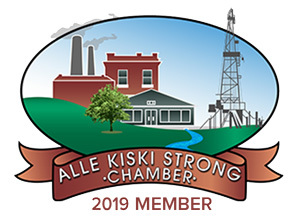 “All over, our brand has never been better,” said Yablonsky, who was the keynote speaker at an economic development workshop Tuesday sponsored by the Alle Kiski Strong Chamber of Commerce at the Quality Inn in New Kensington. “We’re the most livable city, the best place for recent grads, among the 20 best places to visit worldwide, the third happiest in the country and No. 1 in bars per capita — the last two of which could be connected,” he quipped. And just as Pittsburgh turned its red light district into its cultural district, Alle Kiski Valley communities have the potential to transform themselves into more vital entities with strong growth, Yablonsky suggested. “It took a long time to get us here and it was a systematic effort,” Yablonsky said. The event’s other sessions included presentations on how to launch “buy local” campaigns, improve transportation and access business funding. Jim Struzzi, Indiana County Chamber of Commerce president, said volunteers from within the community were an integral part of a revitalization effort called Try Indiana County. “You have to have people who step up and take leadership roles and let their voice be heard,” Struzzi said. Personnel from Allegheny, Westmoreland and Armstrong counties touted the grant and loan funding available in each entity for businesses. Entrepreneur Phillip Rhoades said he is glad his nascent Tarentum event venue is in Allegheny County, which seemed to offer the most access to various funding sources. “This event seemed to offer a bird’s-eye view of different programs we can tap into,” Rhoades said, noting his company, The Clement, is located in the old St. Clement Church and school. He is seeking funding for renovations and startup costs. But Michael Coonley, executive director of Armstrong County’s economic development department, warned that although money is out there, it may be in the form of low-interest loans, rather than grants. Samuele Bozzolla, Allegheny County project manager, said the counties may compete to land businesses, but do so in a position of cooperation. Marilee Kessler, chairwoman of the organizing committee for the resurrected Vandergrift Improvement Program, which is seeking to boost the borough, was glad she came with fellow VIP volunteers. Among other things, they are planning a Pokemon pumpkin party and parade at 5 p.m. Oct. 28. “There were so many opportunities to learn about already implemented things available to us in Vandergrift where we’re on the verge of making a real revitalization effort,” Kessler said. More than 50 people from around the A-K Valley attended the workshop, which chamber executive director Colleen Felentzer said won’t be the last of its kind. Maria Guzzo is a freelance writer.